7/28/16 – Benzinga, a business news service based in Detroit, ran an article that featured a comment from Ashland University Professor of Finance Terry Rumker. The article was titled "5 Tips for Young People Buying Their First Home," and Rumker was quoted in the section dealing with Understanding Loan Approvals. 7/25/16 – Cleveland's WKYC-TV Channel 3 ran a story on Carlin Isles, a student who played football and competed in track and field at Ashland University. The segment showcased the obstacles that Isles has overcome to lead USA rugby to the Olympics. 7/21/16 – The McClatchy publishing company ran an article quoting Roger Beckett, executive director of the Ashbrook Center at AU. The article was titled, "Cruz says he won't be a ‘servile puppy.’ Critics say he’ll never be president." The McClatchy Company is a publicly traded American publishing company based in Sacramento, Calif., that operates 29 daily newspapers in 14 states and has an average weekday circulation of 1.6 million and Sunday circulation of 2.4 million. In addition to its daily newspapers, McClatchy also operates several websites and community papers. 7/21/16 – AU President Dr. Carlos Campo wrote an article that has appeared in the magazine Christianity Today on July 21. style="FONT-SIZE: 10pt">The article is titled “Why Neither Candidate Has Hispanic Christians Convinced This Election” with the subtitle of “Leading evangelical explains how both Trump and Clinton fall short.” The article appears in the Speaking Out section of the magazine. 7/18/16 – The Wall Street Journal ran an article on Carlin Isles titled "A Speed Demon Chooses Rugby." The article talks about how Carlin Isles, who played football and competed in track and field at Ashland University, will be competing in the Olympic Games in the sport of rugby. 7/17/16 – The Canton Repository featured an article on Keishaun Sims, Ohio's Mr. Football, who has decided to play football for Ashland University. The article talks about his decision to play for Ashland. The article, which will come out in the magazine's August issue, was about Dr. Klinger's research work on bomb incidents in schools and her report, which will have its final version issued in the coming week. 7/07/16 – Dr. Amy Klinger, associate professor of educational administration at AU, was interviewed by Security Management Magazine, a publication of the non-profit ASIS International. While Dr. Klinger was at the Ohio Promoting Wellness and Recovery Conference in Athens, Ohio, last week, she was interviewed by an Associated Press reporter out of Columbus who was doing a story on bomb incidents in schools. 7/04/16 – The July 4 issue of Time Magazine has an article on Carlin Isles, who was an AU student athlete for two years and is now on the U.S. Olympic Rugby team. The article, titled "Rugby? Yes, Rugby," talks about the sport of rugby and how Carlin Isles and his "rocket shoes" are making the U.S. an unlikely contender in the Olympic sport. The article notes that Isles played football and ran track at Ashland University. 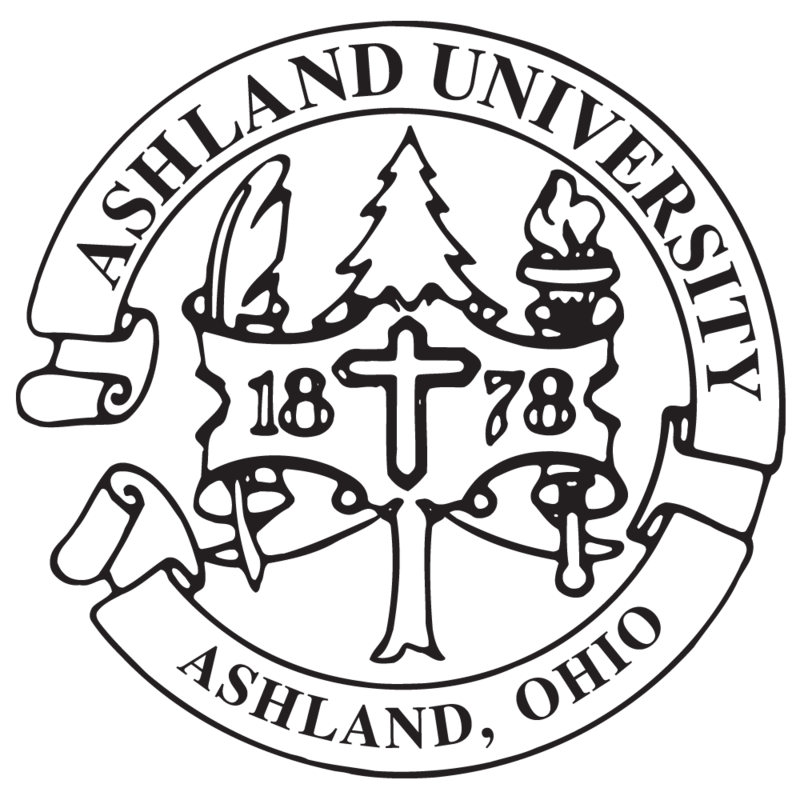 6/24/16 – Ashland University and John Dowdell, director of AU's Gill Center Outreach Program, were featured in a number of media following Ashland's inclusion as one of 67 colleges and universities nationwide selected to participate in the Second Chance Pell Pilot Program. The pilot program will allow eligible incarcerated Americans to receive Pell Grants and pursue post-secondary education with the goal of helping them get jobs and support their families when they are released. The article was picked up by a number of media, including the Cleveland Plain Dealer, the Christian Science Monitor and the Higher Education Tribune. 6/06/16 – Dr. John Moser, professor of history and co-chair of the Master of Arts in American History and Government program, was quoted in a Politifact article regarding a speech in which Hillary Clinton attacked Donald Trump's foreign policy ideas.